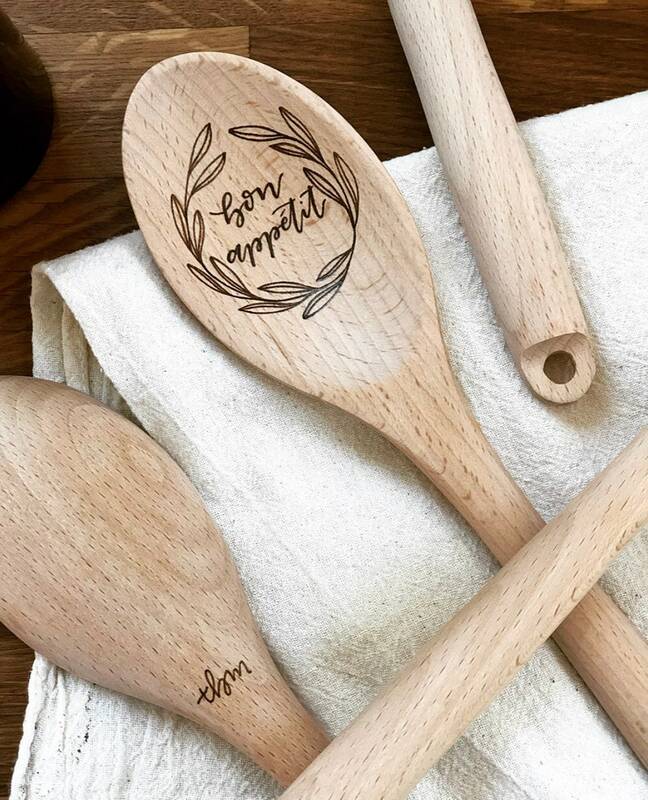 This design is lovingly illustrated, hand lettered, and wood burned by hand. It is meant to be used and loved and a functional piece of art for your kitchen. Bon appetit! Each utensil is made to order and may differ slightly from photos shown.